Imagine this scenario (a pleasurable one, I promise). You are packing away to a paradise resort for a whole month. While enjoying beautiful sunsets, the warm sand and the sound of the sea, you start to wish you could share the experience with your loved ones. Well, thanks to today’s modern technology you can let everyone know about each and every moment of your trip,be it friends, family… or fuming colleagues in stuffy offices. Prior to booking a hotel, ask whether or not Wi-Fi is available and what the hotel charges to use the service. A lot of hotels provide complementary basic broadband nowadays, but high-end, faster connections may come at a cost. If you need access to the web only on occasion, check your guide book for internet cafes or keep your eye out for bars or coffee shops with free Wi-Fi – just don’t forget your laptop (or smart phone). 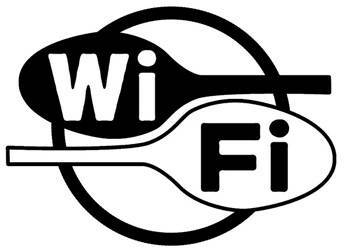 Another common place to find free Wi-Fi is transport hubs – train stations, bus stations and of course airports. If you find yourself travelling through any one of these, that’s the time to jump online and fire off a few quick hellos. Setting up blogs (even just temporary ones) to share images and experiences has become hugely popular. Anyone can have a blog – it’s completely free. Three of the most popular platforms are WordPress (wordpress.org), Blogger (blogger.com) or Tumblr (tumblr.com). They’re designed to be intuitive for non-techy people, so you’ll be posting and uploading photos of your adventures within minutes. 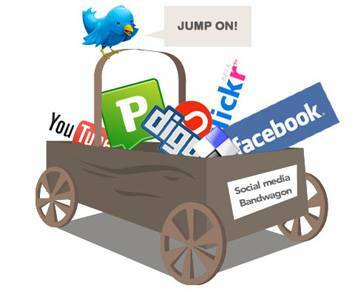 If you want a basic way of staying in touch, you can always rely on good old social media sites such as Facebook or Twitter. Both allow you to upload images and share videos. While Facebook is more personalised, Twitter gives you access to a wider spectrum of users, including enterprises and followers who have similar interests but are not your friends in real life. Remember though, expect anything you do post to be read by jealous work colleagues, so make sure you’re happy sharing whatever you post with everyone you know (and probably lots of people you don’t). Skype is a great way of keeping in touch with the ones you love, especially with the help of the video chat feature which lets you share your experiences in real time. And if you don’t fancy being in front of the camera, you can always use voice chat, or the keyboard. Top tip: video calling your boss when they’re at work and you’re on the beach may not help your chances of promotion. Still do it though…. No Wi-Fi___33? What are my options? It’s true, not every sleepy South American village you’re passing though is going to have a major US chain coffee shop with free Wi-Fi___33. If that’s the case, you can always try tapping into your holiday destination’s mobile broadband network – if they have one. There are two ways to do this. Roaming:Using your home mobile network can definitely allow you to keep in touch with your family, but at a hefty cost. In fact, a lot of consumers came back from their holidays only to be bill-shocked when they saw their charges. The best advice is to double-check the rates before going abroad, especially when it comes to using mobile broadband on your smartphones. ‘Go native’ – get a local SIM card. If your phone is not locked to a network, you can always purchase a foreign SIM card on a pay-as-you-go basis, which is much cheaper than roaming.This can be great for getting online, but be prepared for varying internet coverage depending on where you are. Do note that to get cheaper calls home, you then may need to buy additional international call services. 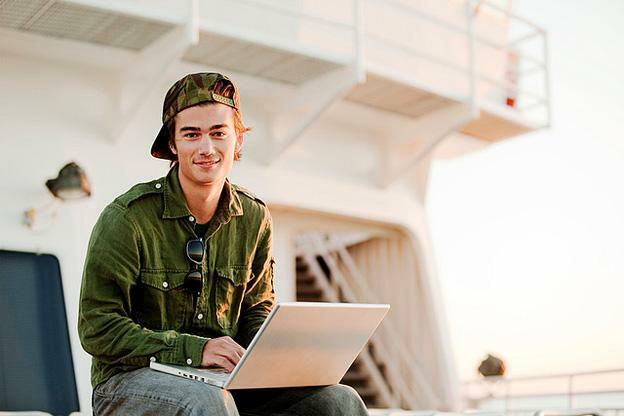 It can all add up to being a bit of a hassle, so if you’re abroad for less than a week, you may decide to skip this option and take the hit on your normal network. Remember, staying connected is important, even if you don’t intend to write a whole blog-novel about it. A basic text that you are okay will do. Remember, keeping in touch is not only about showing off your new floppy sun hat, but also letting your loved ones know that you are safe and sound. Edita Losovska the author of the “Staying online and in touch” is a digital services expert and web editor at Simplify Digital, the broadband, digital television and home phone comparison service.